GUATEMALA, April 4, 2009.- Cubans Nirian Sinal and Kirenia Ballar and Americans Beth Van Fleet and Saralyn Smith qualified as the top two semi finalists of the Gatorade�s Guatemala Beach Volleyball Tournament, the second leg of 2009 Norceca Circuit. 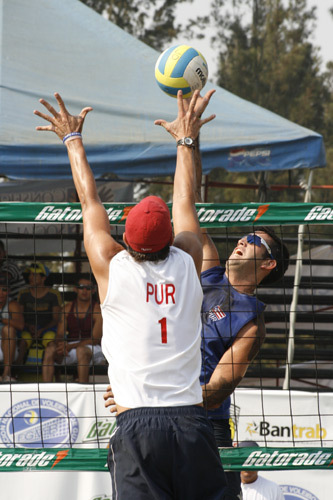 GUATEMALA, April 4, 2009.- Americans Hans Stolfus and Anthony Medel and Puerto Ricans Roberto Rodriguez and Orlando Irizarry advanced to the semi finals of the Gatorade�s Guatemala Beach Volleyball Tournament on the men�s side with perfect records. 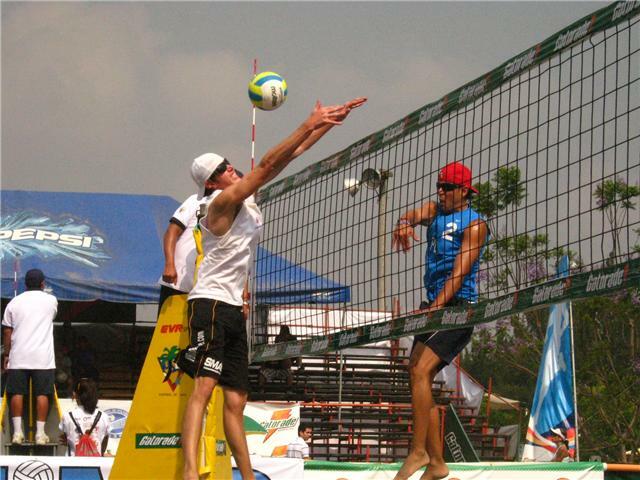 GUATEMALA, April 3, 2009.- Men�s top-seed Hans Stolfus and Anthony Medel, of USA, cruised past the preliminary round of the Gatorade�s Guatemala Beach Volleyball Tournament winning their two matches with identical score. 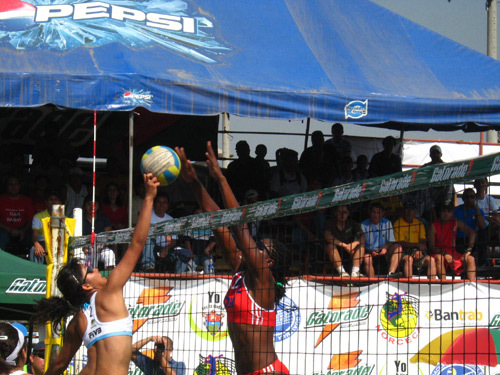 GUATEMALA, April 3, 2009.- Top-seeded Nirian Sinal and Kirenia Ballar of Cuba won their two matches in Pool A on the opening day of the Gatorade�s Beach Volleyball Tournament of Guatemala, the second event of 2009 Norceca Circuit. Winners in Cayman Islands last week, Sinal-Ballar defeated Ivonne Soler-Jennifer Lombardi of El Salvador 21-10, 21-16 and then beat Canadians Julie Rodriguez-Kristina Long 21-16, 21-10. GUATEMALA, April 3, 2009.- Cubans Nirian Sinal and Kirenia Ballar in the women�s side and Americans Hans Stolfus and Anthony Medel in the men�s field are the top-seeded in the Gatorade�s Guatemala Beach Volleyball Tournament, the second stop of the 2009 Norceca Circuit. 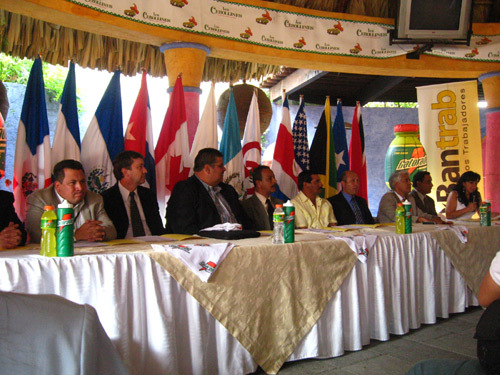 GUATEMALA.- The oficial opening ceremony of the Gatorade Beach Volleyball of Guatemala, the second stop of the 2009 Norceca Circuit, took place on Wednesday with the presence of Alvaro Arzu, the Mayor of Guatemala City. GUATEMALA, April 1, 2009.- Pairs from eleven countries will take part in the Gatorade Beach Volleyball Tournament of Guatemala, the second of ten stops of the 2009 Norceca Circuit. 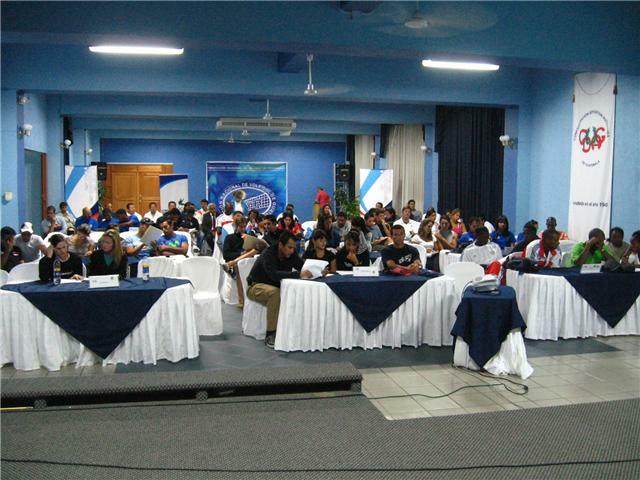 The announcement was made during a press conference held on Tuesday chaired by Enrique Santis, president of the Guatemala Volleyball Federation accompanied by members of its Executive Committee.